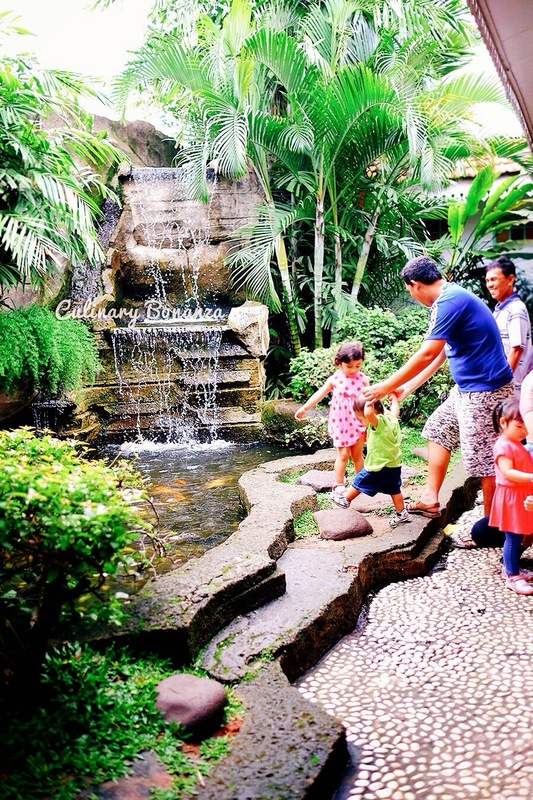 When I was a kid, my memory of eating out had always been at traditional Indonesian restaurants, that would also have a small playground and a fish pond (because back then, there were no iPads or tablets to keep the kids distracted). 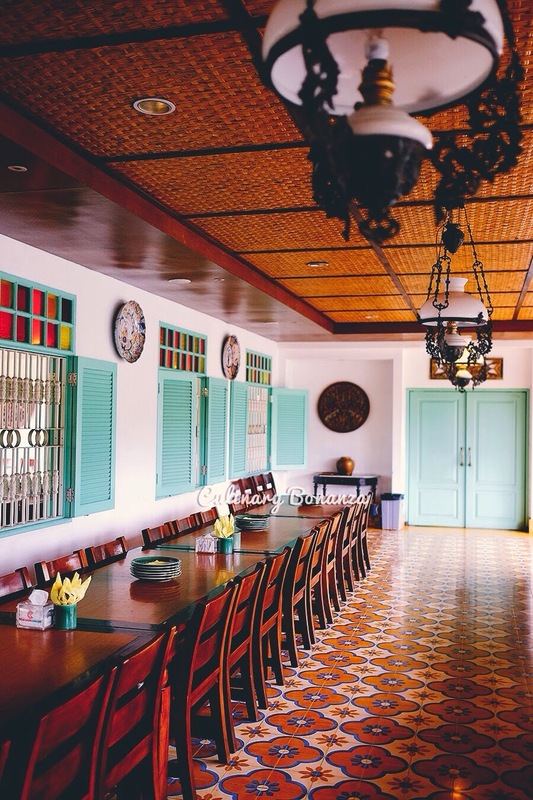 Nowadays, that sort of family-friendly restaurants have dwindled sharply and only a handful survived the tough competition from the more modern, newer and fancier places. 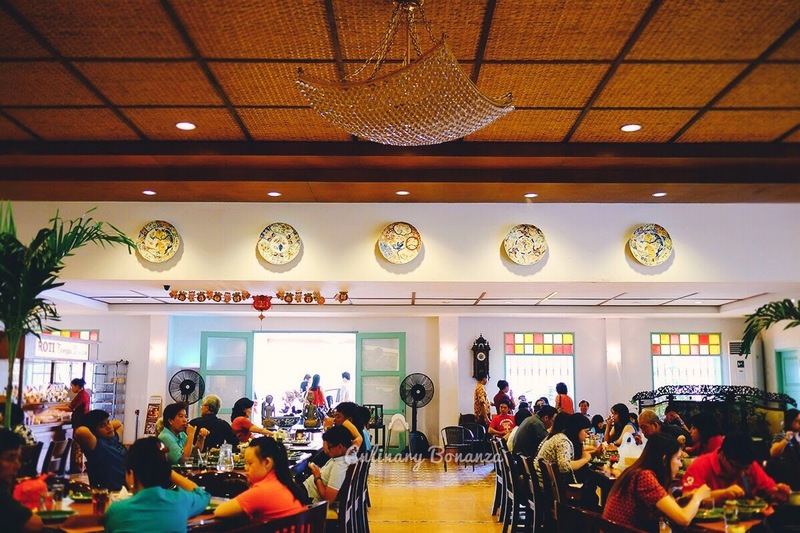 In this post, I'm going to share about a place that is as old as I am, yet still retains its traditional charm, while maintaining the quality of the family recipe...just like the good ol' days. 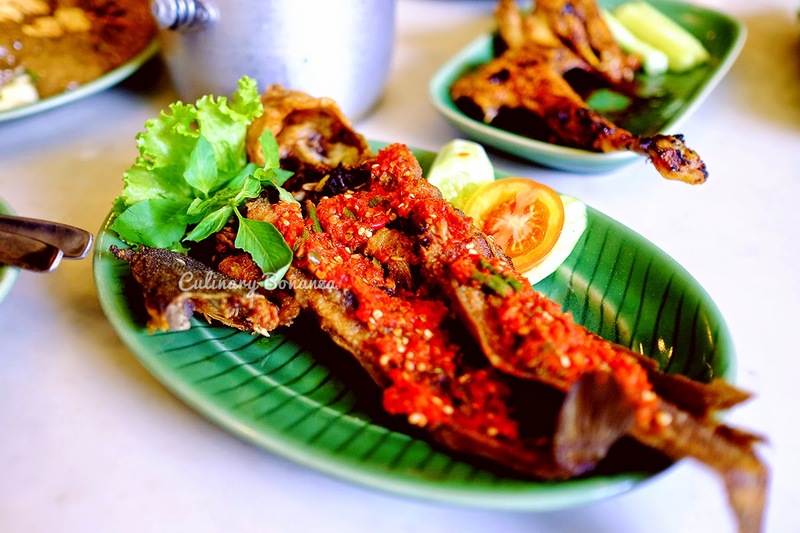 Ikan Bakar Cianjur (IBC), circa 1989, started its humble beginning in a small town named Cianjur, West Java. 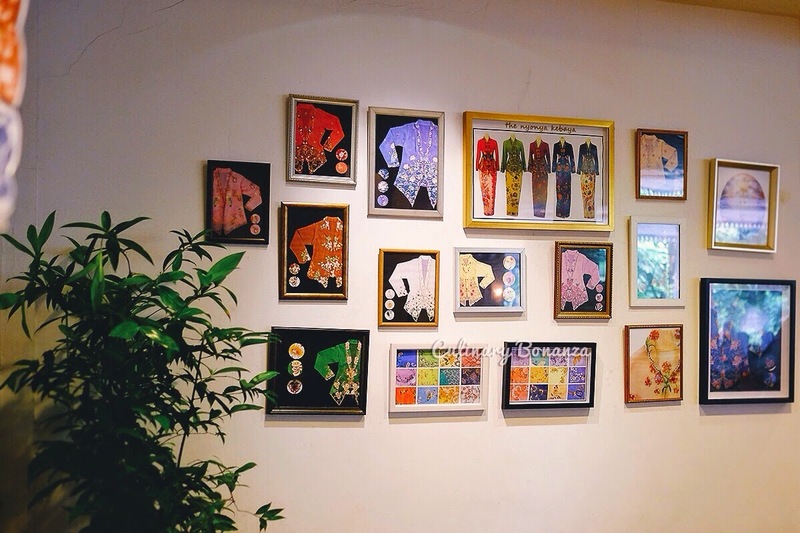 Its consistency in serving quality and tasty Sundanese food and traditional Indonesian food in general over the decade, sees IBC expanding to many major cities across the country. 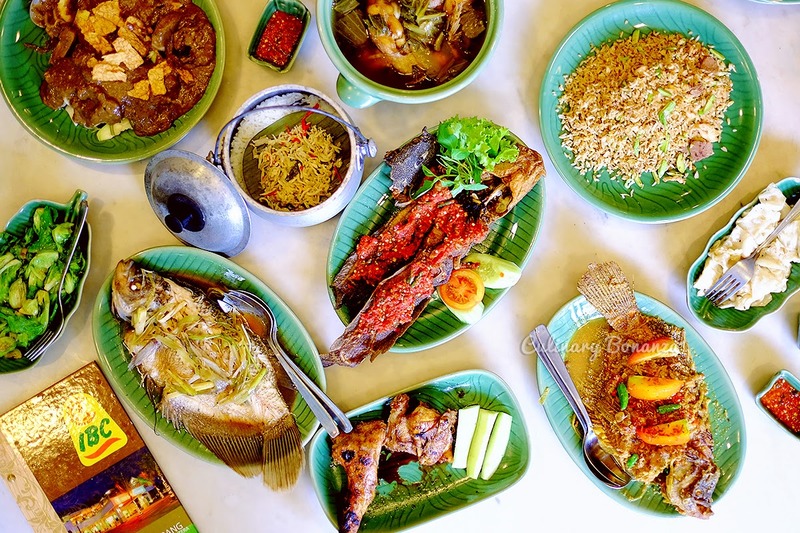 Today, more than 2 decades and 20 outlets later, IBC is set to galvanize its position in preserving the custom of hearty Indonesian delicacies, as well as subtly playing advocate to encourage Indonesians to consume more fish, as our primary source of lean protein. More than a decade ago, it was my parents who introduced Indonesian food to me as a child. So this time, it was my turn to take my baby niece to experience it. 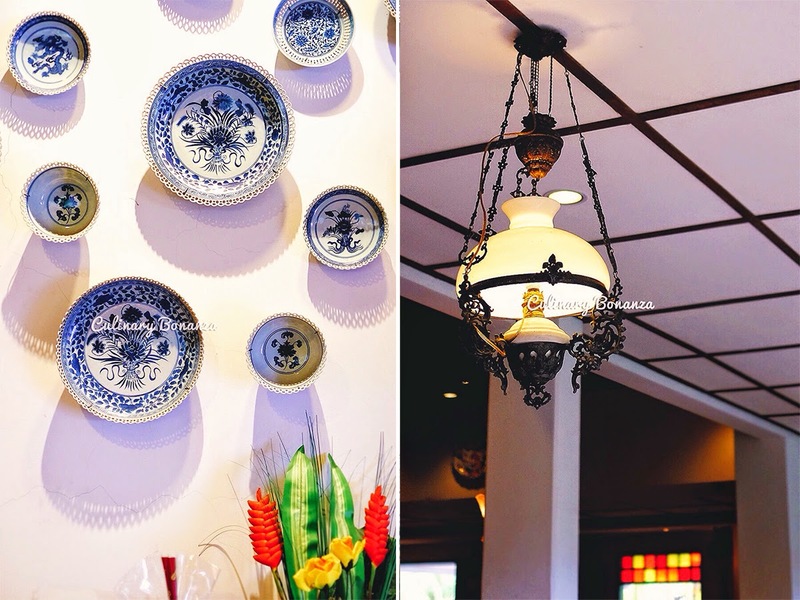 IBC actually has many branches spread across the city, but we chose to come to the one in Alam Sutera, for the more traditional ambiance. 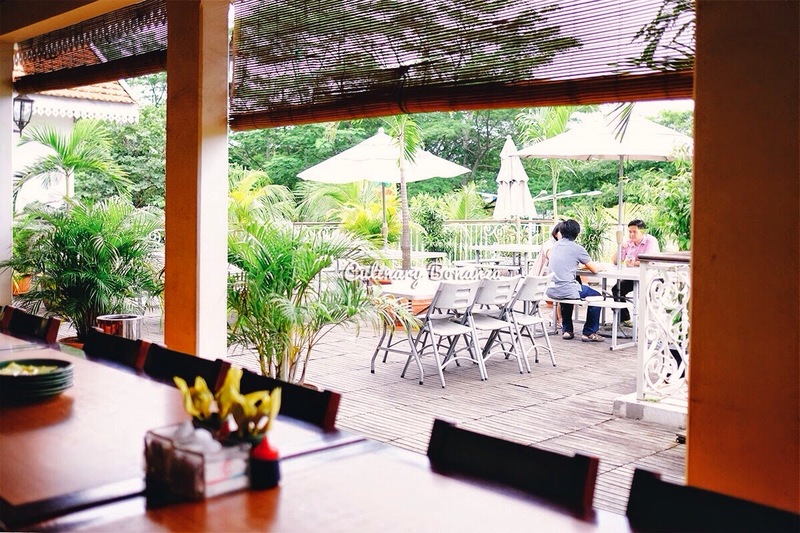 IBC's Alam Sutera restaurant is strategically located close to Flavor Bliss, a landmark, as well as a foodie haven in Alam Sutera residential cluster. This location is actually a highly risky bet in my opinion, because it risks losing IBC's potential customers to the neighbouring food hub, The Flavor Bliss, which undeniably, offers a lot more options and larger parking space. But for IBC, it seems that luck is happily nestled on their side. The supposedly risky location turns out to be a blessing after all. When I arrived on Sunday morning, before 11 AM, the parking lot was already full, an indication of the mass sitting inside. The main, massive dining hall on the ground floor was already packed before lunch time! Love the traditional setting on the second floor! 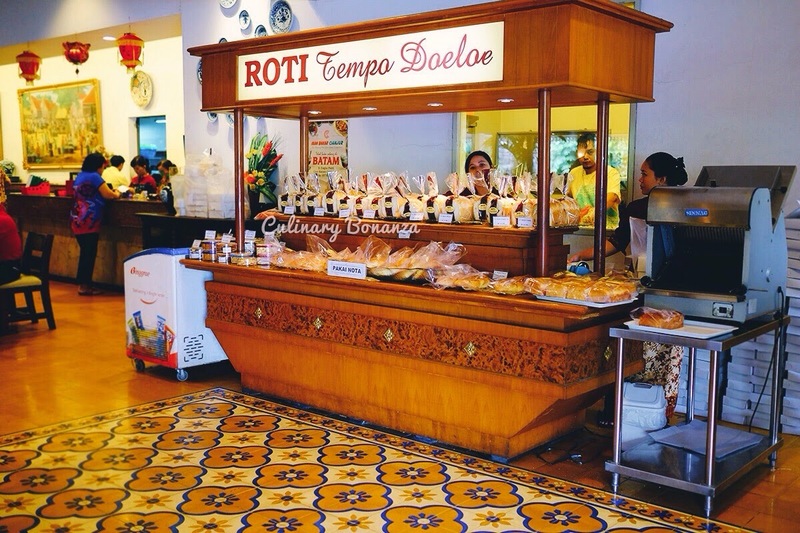 At IBC Alam Sutera, there's the famous 'Roti Tempo Doeloe' or traditional bakery stall, right inside the restaurant. The bread sold here is the sort of traditional, not-fancy, yet authentic and delicious bread. While I found this here, I couldn't resist from buying a few packs home =). 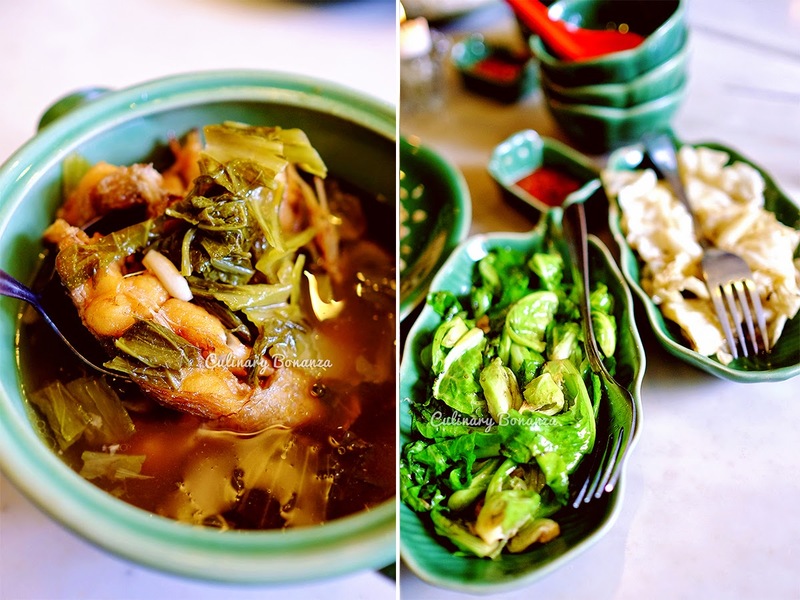 So, what's a family lunch without real, table-filling and tummy filling feast? 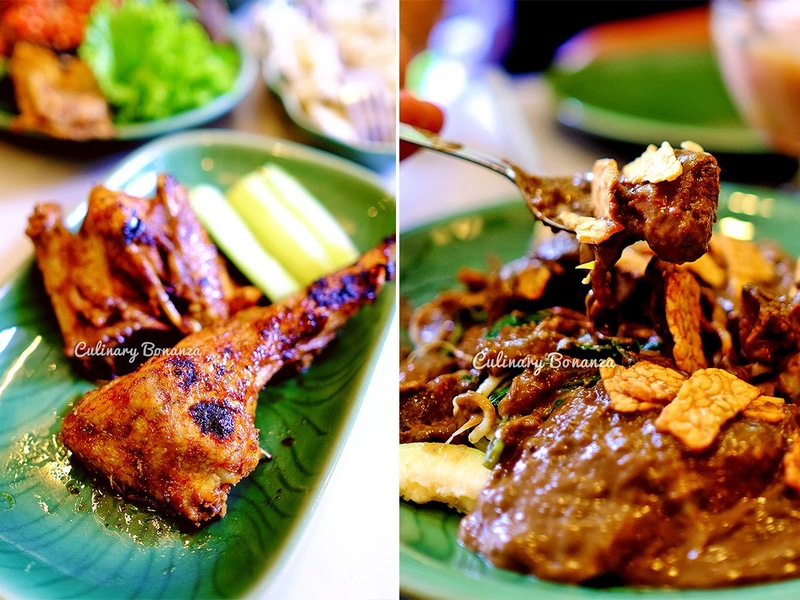 In an Indonesian style feast, we ordered a few dishes signature dishes of IBC for sharing. 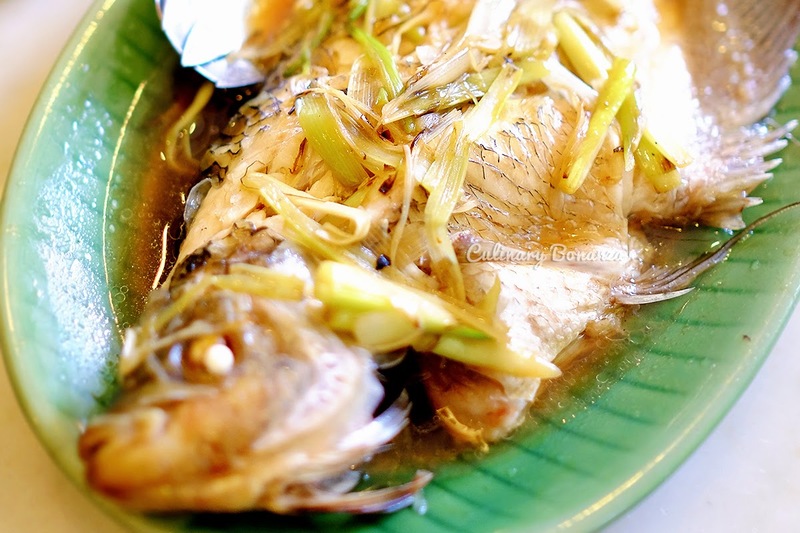 Nila Sop or fried fresh water tilapia, cooked in sour clear soup, with pickled vegetables. It was my first time eating this kind of fish soup. The ones I normally had, cooked the fish in the soup and not fried first. Quite interesting and not to forget mentioning how tasty it was! Now, there's one dish that I did not touch at all, not necessarily because it tasted bad, but more because of my personal mental barrier, who still can't quite come into terms with digesting cow's muzzle, or 'cingur' in Javanese. As fresh and delicious it may be served, cingur as Rujak Cingur is what I consider to be 'extreme' LOL...I know you must think that I'm such a sissy and yes I'll lost at Fear Factor before the competition even begin! Anyway, Rujak Cingur is (East Javanese fruits and vegetables salad with sliced beef muzzle, steamed rice rolls and topped with a blend of sauce made with peanut and shrimp paste. 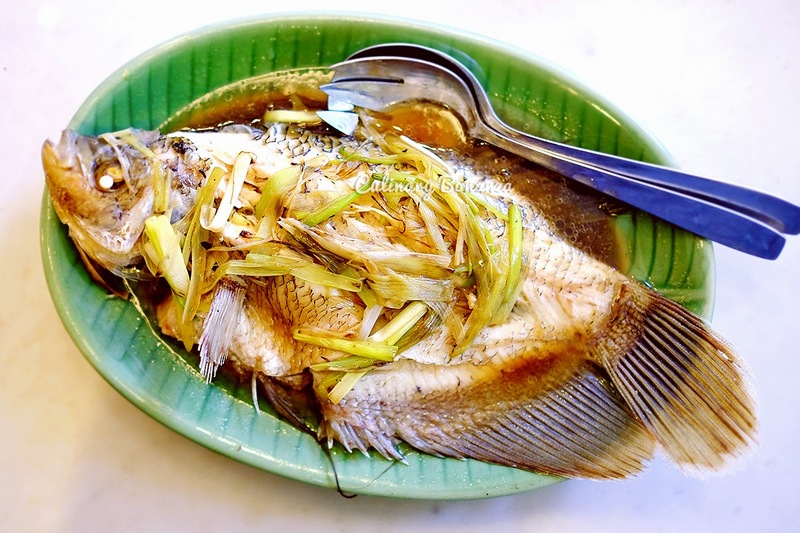 Although the restaurant names itself with name 'Ikan Bakar' or grilled fish, turns out the signature dish here is not that, it is in fact, 'Ikan Pesmol'. 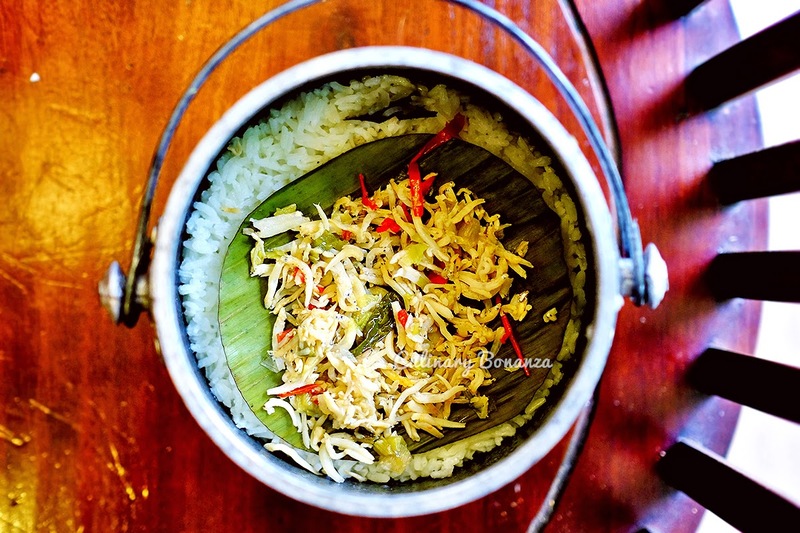 Pesmol is actually the name of the yellow spices used in the dish, that comes from Cianjur in West Java. 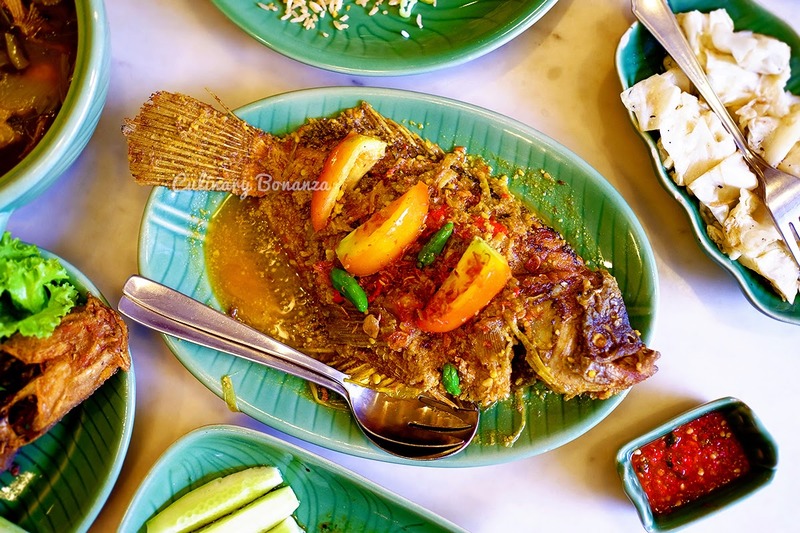 The picture below may not look appetizing, but trust me, the fried fish was really fresh and tasted even better with the yellow, sour, sweet, savoury and spicy yellow spices. I'm not the type who likes to eat seafood, but even I couldn't say 'no' to this. 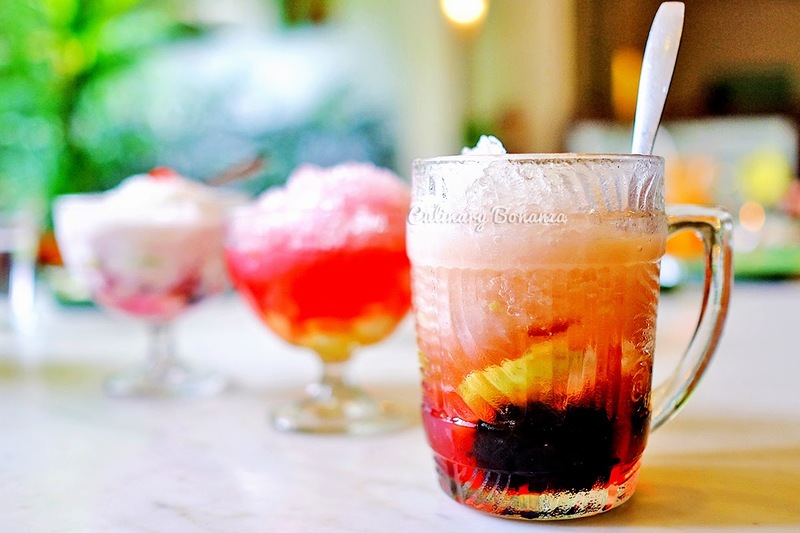 Indonesian dessert for the last sweet touch...We ordered the classic of IBC's, the Es Cianjur, Es Campur Tempo Doeloe, Es Shanghai and Es Buah Campur. 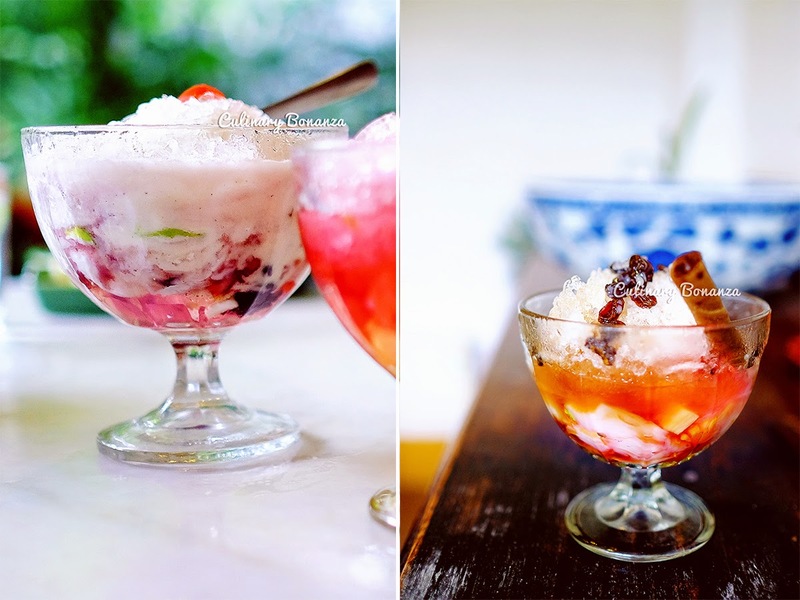 At a glance, Es Cianjur looks pretty much like Es Campur, but they're actually different, where Es Cianjur has black glutinous rice in it, while the latter doesn't. 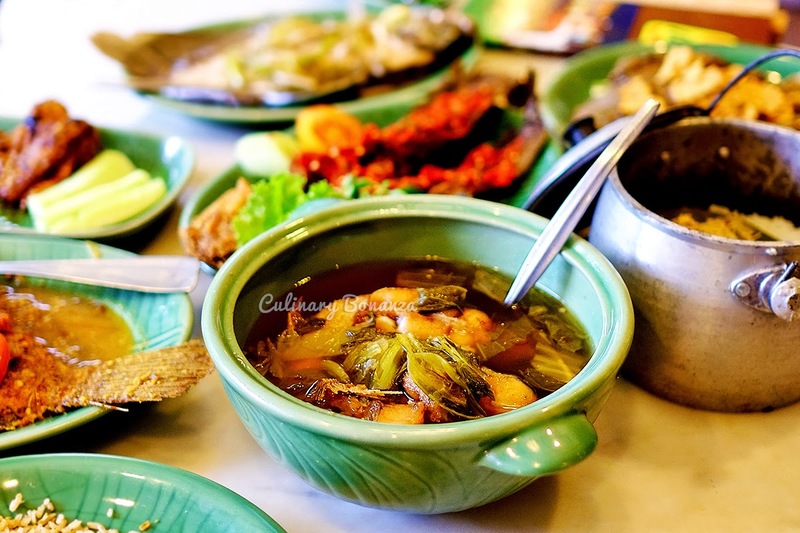 Ikan Bakar Cianjur is the kind of place where you can bring the elderlies to eat at and be certain that the taste suit their palate, because IBC's traditional Sundanese recipe has been passed down over generations and it has stood the test of time. Currently spread across Indonesia with 20 outlets, who knows how many more will spring up in the near future! 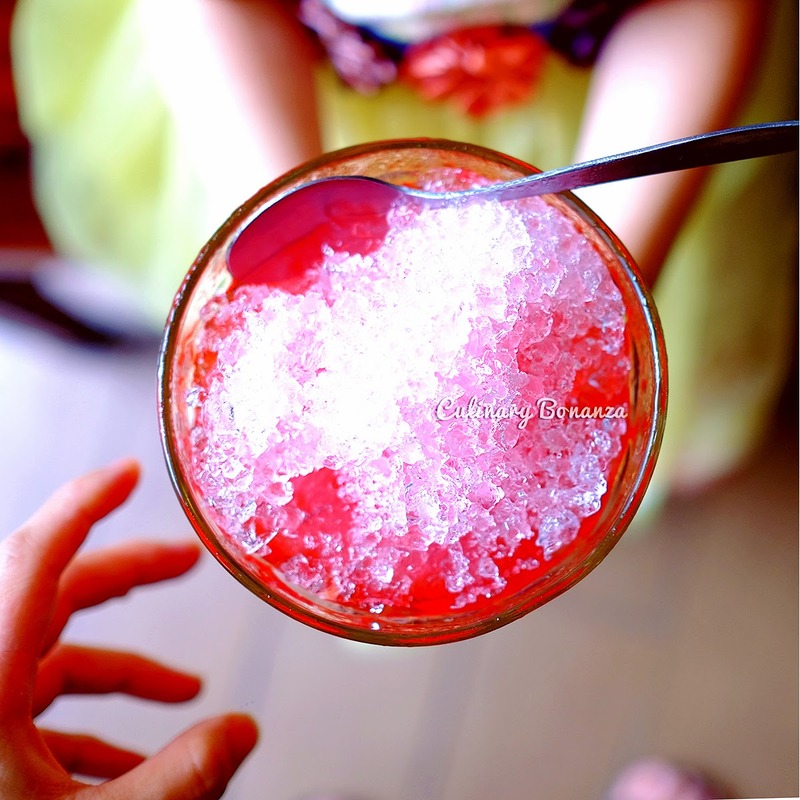 IBC has certainly made itself a household name despite the fierce competition from newer and flashier establishments. 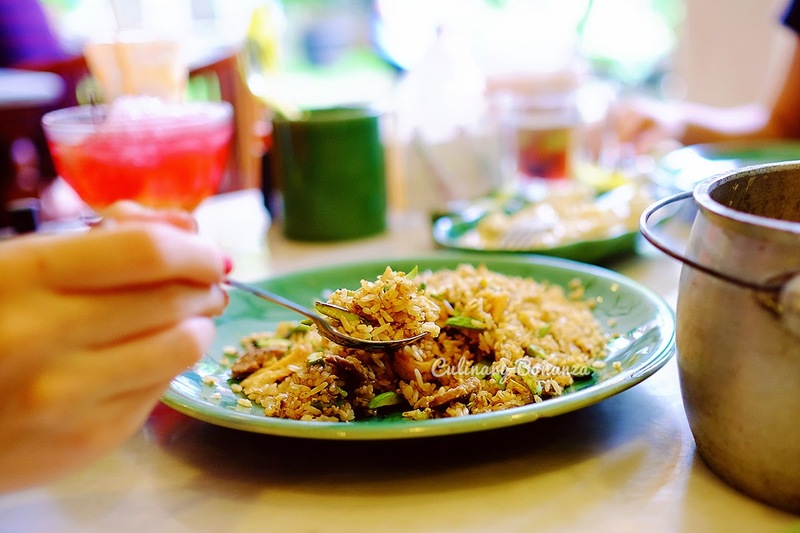 For complete list of restaurant locations across Indonesia (Bali, Yogyakarta, Semarang, Surabaya, Batam, etc) click here.